University Vice President for Administration and Finance Marilyn Fowle, May 1, 2018. Marilyn Fowlé is a busy person. As the vice president for administration and finance, she has her hands in almost every financial decision at the university — including salaries. But she doesn’t have time to research the market data for the salaries of all 678 full-time employees. Nor does she just pull a number out of a hat. Indeed, she and other administrators use a variety of factors, including outside consulting groups, when determining salaries of new employees and changes in salaries for current employees. Evergreen, the company used for the compensation study, looks at the tasks of each staff member and compares them to similar organizations in the area, peer institutions and market to set a pay plan for the staff. Saying this, titles are compared to each other. For instance, the study would look and compare all secretaries, not secretaries to presidents. They both carry on different responsibilities and cannot be compared equally. There is a minimum, midpoint and maximum for pay. Each staff member will start at the minimum pay that is in their grade developed by Evergreen and then after time spent at MSU, their salary will gradually increase. Unlike staff, faculty members’, individuals who are educators, salaries are not based off of a pay plan. According to Fowlé, there are at least five major factors included in the determination of salaries of faculty. “The top five factors include job level, years of service, market demand, cost of living and merit,” Fowle said. Jeff Stambaugh, dean of Dillard College of Business Administration, said whenever faculty members get promoted from assistant to associate professor, it is a $5,000 pay raise and associate to full professor is a $10,000 pay raise. A faculty or staff member’s salary also depends on their profession. For instance, an engineering professor is going to make more than an art professor. The more difficult the tasks, the more one will get paid. “I am in finance. People in finance, their salary will be higher,” Lei said. 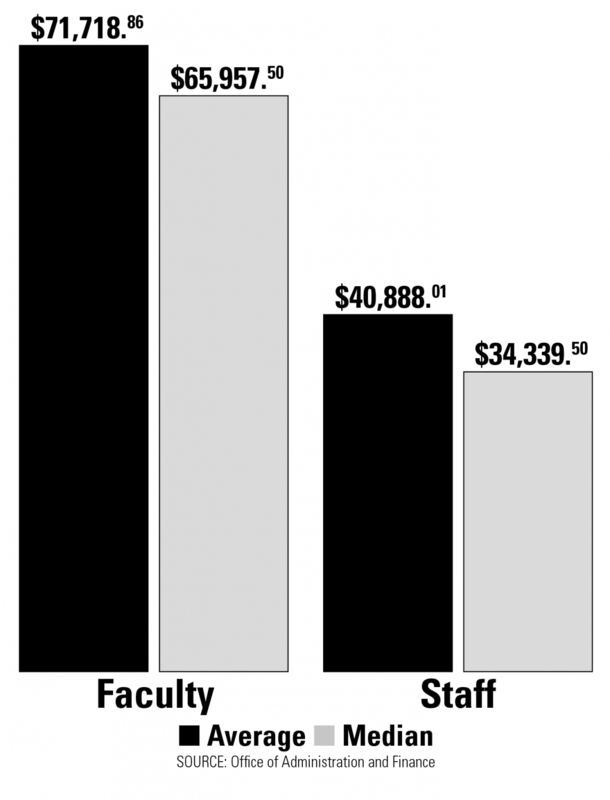 Years of service: Over time, the amount of money a faculty member may make will increase due to a pay raise. For example, someone who has worked longer as a full professor in music is going to make more than a newly hired full professor in music. However, an analysis of the data provided by the Office of Administration and Finance showed that only 36 percent of the time was salary correlated with longevity. Often, younger faculty members were making more than those had been here for decades. When a specific job title is needed, the university will look to see what the basis is for that position and then possibly add more money to the salary because they are in need. This means that sometimes the university will have to reach out a little more, and even pay more, to get that position filled. “If there is a market demand for that position or that skill set, we’re going to change what we pay them, but we’re not changing the pay plan,” Fowlé said. The university pays more for what they need. Even if an institution has a long-time working employee, the market can still demand that a newly graduated assistant professor make more money than the long-term hired employee. 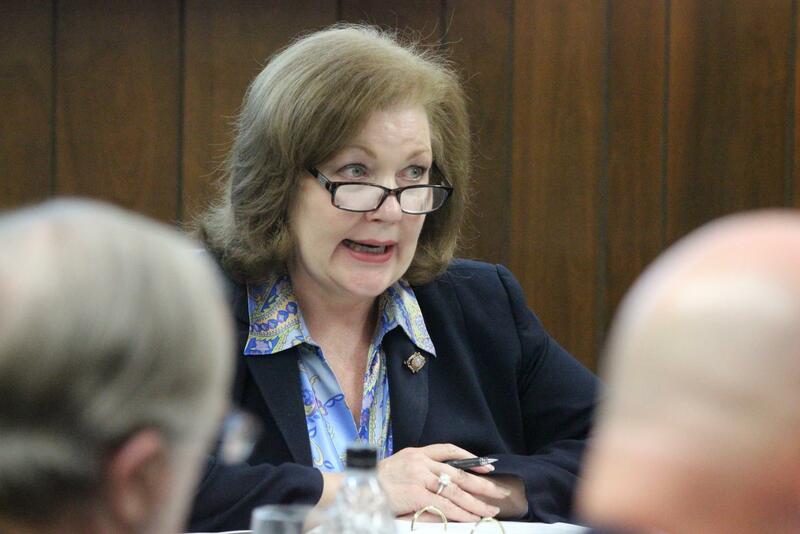 “It really just depends on what happens to MSU’s pay raises,” Stambaugh said. The market fluxuates and salaries can vary and change based on the market. The consideration of how much money a faculty member needs to make to be able to live efficiently is a huge factor. Without the cost of living, the university employees would not be able to live off of their paycheck. “We look at the cost of living because costs are going up,” Fowlé said. The university has to be able to keep up with inflation to make sure employees are making enough to live on. Merit is based on how well an employee performs. This is where pay raises comes into play. Merit raises come from a pool of money set aside specifically for this purpose. It is then divided dispersed evenly to the deans. The merit pool is a sum of money that is provided by the increase of student tuition and fees. Stambaugh also includes the starting salary was the most important. When applying for a position as a faculty member, Stambaugh said to negotiate the highest possible starting salary because everything else is based off of that. “Every pay raise you get after [the starting salary], with the exception of the two promotion pay raises, are going to be functioned off of what was made last year,” Stambaugh said. READ MORE ABOUT FACULTY AND STAFF SALARIES AT MSU. Visit the Texas Tribune Government Salary Explorer.